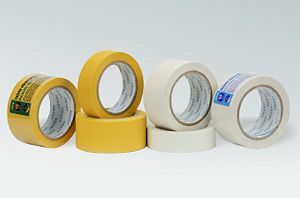 Masking tape on the support of soft PVC, sided adhesive based on synthetic rubber. The outer surface of the carrier is transversely corrugated, which increases the flexibility and makes it possible to easily break by hand. This product is designed to protect the surface mainly during repair work – construction, has excellent adhesion to metal, plastic, wood and many others. Perfectly protects the components against mechanical damage, eg. During transport. Suitable for use both indoors and outdoors. It is characterized by excellent resistance to aging and resistance to light. It is easy to break, and after removing leaves no traces. 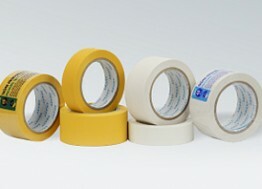 We offer PVC masking tape in white and yellow.